Congratulations Susan! I will email you shortly to get your address so I can mail you the goodies. It is a beautiful day here in Utah and I think the sunny weather is here to stay. I am hoping to have some time this week to respond to all your comments from last month, finish quilting a quilt top, review another quilt book... and, yes, post another block for the City Girl Sew Along. 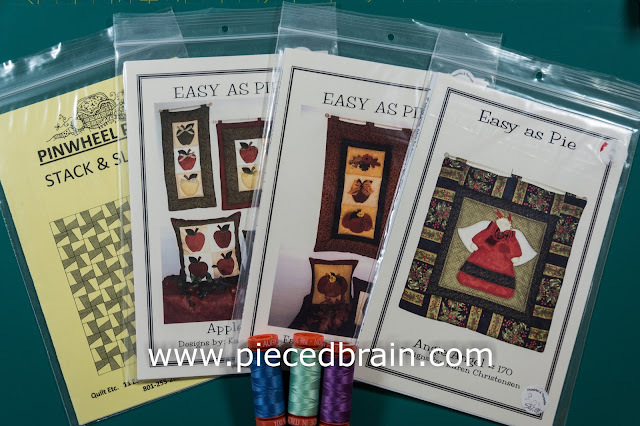 As Pieced Brain is now on Facebook and Instagram, in addition to Twitter, I will be sharing some more photos there, too. Follow along!